If it has poker in its name, it is highly likely to be found in the fast-growing hotbed of card players that is Ireland today! The fledgling Showdown Poker Tour is getting its sealegs and making for Dublin after an eventful inaugural showing at the Gutshot Poker Club in London, where a small but select band of poker players gathered in the €5,000 event which eventually was won by EPT winner, Sweden’s Mats Gavatin, at the expense of the unlucky Barny Boatman. Boatman is of course a member of the Hendon Mob, all four of whom are signed up to play the Showdown Poker Tour this year. So, Ram “Crazy Horse” Vaswani, “Rocky” Ross Boatman and Joe “The Elegance” Beevers will be adding some considerable clout to the quality on offer at the Fitzwilliam Card Club in Dublin. The Fitzwilliam Card Club promotes itself as “Dublin’s Premier Card Club” and it will be aiming to prove this when it holds the “Fitzwilliam Pokerfest 2006” from Monday 22nd May until Sunday 28th May. It is fair to say that, with a schedule comprising a mix of events to suit the largest and smallest of wallets, this promises to be poker at its best in the sense that everyone from locals to superstars will be taking part, ensuring superb camaraderie the Irish way! 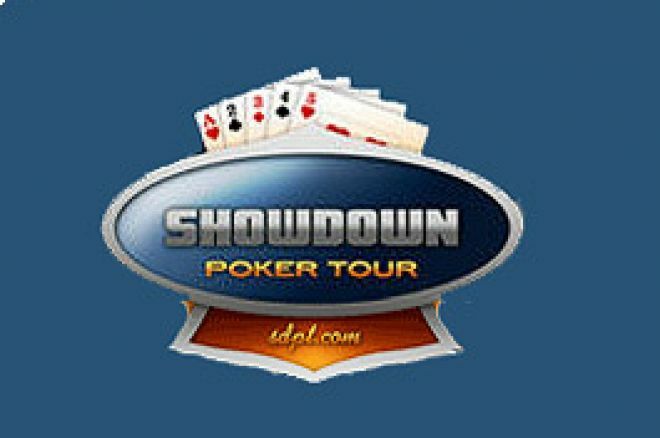 It should certainly be a hoot, and we can be sure the Hendon Mob and all the other professionals who play the SDPT Main Event will enjoy it to the full while concentrating on bringing home the spoils. The existence of two flights of play, followed by a Day 2 and a Final Day implies that the player turnout will be much higher than the 23 that entered the Gutshot event which admittedly suffered from competing attractions on the night. Once again, the Tournament Director will be the world-renowned and highly-regarded Matt Savage, with the final table being filmed for Eurosport TV, in line with the rest of the Showdown Tour which climaxes in Hamburg, Germany with a €10,000 buy-in Grand Final. In the interim, the Irish have a few drinks to pour before a friendly game of cards. Let the Showdown begin! Barcelona Champions League – Heads Up Style!